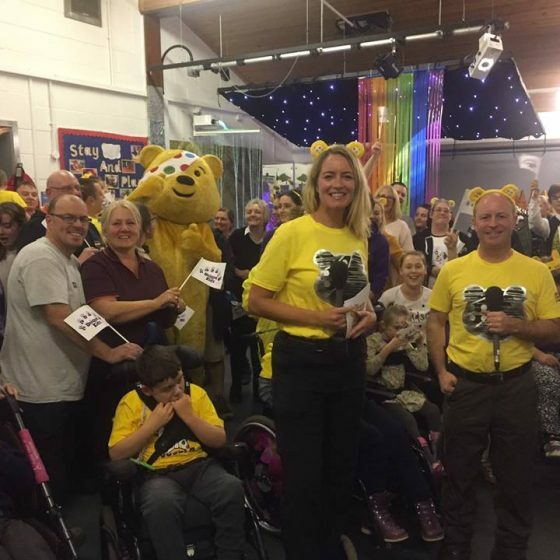 On Tuesday 13th November, BBC North West Tonight went live from Unique Kidz and Co after a Plod for Pudsey! It was all part of their Plod for Pudsey campaign which has presenters from the television show walking 100 miles around the coastline of the North West to raise money for Children in Need. A big Pudsey Tea Party took place for some of our children, young adults and their families to celebrate being their final stop that day. Beccy Barr and Richard Askam finished their walk around 5:30pm. 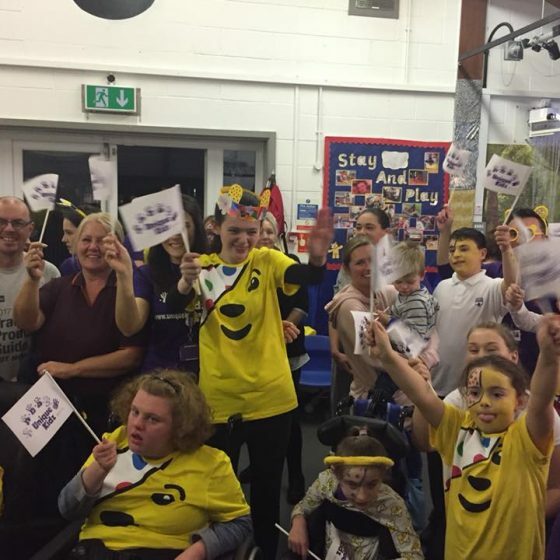 They arrived at Unique Kidz and Co with Pudsey greeted by our children and families cheering them in! At 6:30pm, the cameras went live and showed off what a fantastic place Unique Kidz and Co really is! We are so proud to be supported by Children in Need and we are currently in our third round of funding. Support from Children in Need has made a huge difference to Unique Kidz and Co. It has allowed us to extend our services and provide the support that our families really need. If you didn’t catch us live on TV, head over to our Facebook page. You can watch a behind the scenes video and see some of the pictures from the night! A huge thank you to everyone who has supported our events through Children in Need Week. Wednesday morning saw our biggest numbers yet at Stay and Play where we held a Children in Need Coffee Morning. Throughout the week we are selling tickets for our Children in Need Raffle.